Today’s topic: On why the DELTAWING was TOO GOOD TO BE TRUE! There are two problems with proposing a revolutionary idea in this vast engineering playground. Firstly, there aren’t any! Before you could even begin to ink the idea as a result of your lucid dreaming, some bloke from another land would’ve already accomplished what you wanted to. Secondly, and this is the more itchy one- As society, our reflex tells us to completely ridicule any sign of ingenuity when it presents itself through the eyes of a visionary. Naming the likes of Leonardo Davinci, Wright brothers, Marie Curey, justifies what I’m trying to say. Unfortunately, the society that I actively try to be a part of has foolishly continued the trend and discarded what could have been a potential revolution in terms of design, fuel efficiency and more importantly- Motorsports. Nissan have no longer decided to take part in Ben Bowlby’s DELTAWING endeavor as engine supplier. Michelin, the tire company that made bespoke 4 inch (YES! only 4″) thick front tires only for the Deltawing, have also fled from the scene. The project has hit the road block and they have officially opted out from this monumental project. Now there no longer will be a “bat mobile” on the grids of this year’s various American Le Mans(ALMS) events. But it’s more than just the visually radical car that we are going to miss now, aren’t we? If you’ve read my post on the Deltawing, my enthusiasm bubbling through the article about it’s conceptual design philosophy and overcoming its engineering challenges is proof enough that I for one was in full support of this act. Like many others I believed in Deltawing, and like many others, I too have been deceived. But who’s to blame, you ask? Well of course the various motorsport organisations that govern the rules and regulations and run the races every year. If you’ve been following the motorsport planet closely then you’ll know that this isn’t the first time an avant-garde concept like this has been severed. More popularly known as “Fancar”! The Brabham BT46, a true contender back in its prime F1 days, had an unbelievably perfect success rate. It won all the races it ever took part in. But the history books will hide the fact it had a lifespan as that of a month. 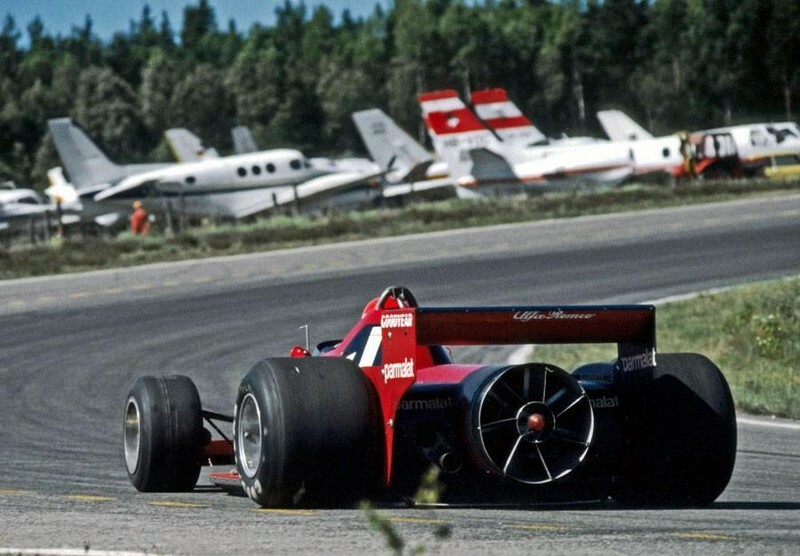 A large fan placed near the rear diffuser (intended for engine cooling purposes) apparently sucked in so much air from beneath the car, that the enormous ground effect created so much downforce compared to other cars on the grid that it won on its debut. Even though none of the rules at the time were broken, the FIA swallowed this bitter truth as a biased racing form than outright genius and hence banned it! Since then, the BT46 never saw the light of day ever again. Various racing teams have a cheeky way of working around the rules that govern the designing of the car. It really depends on how you perceive the regulations. So back in 1978, Tyrell showcased the world what formula1 historians call as “the most recognizable design in the history of world motorsports”. 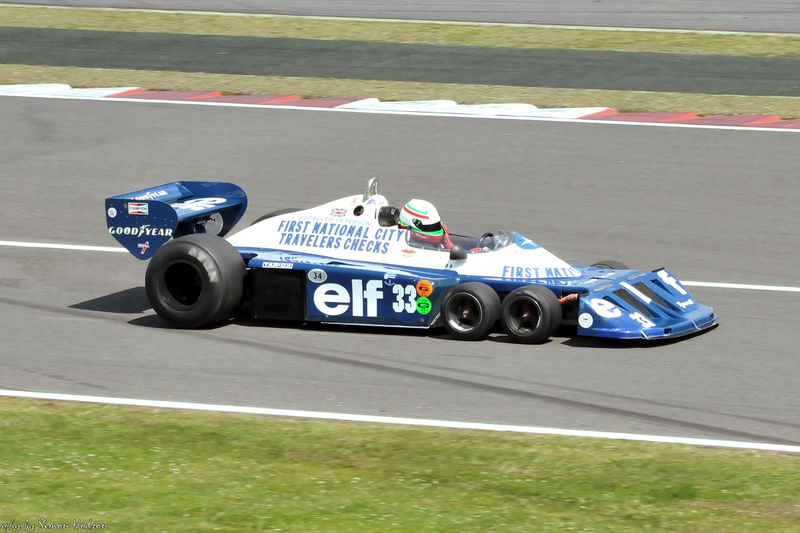 In order to increase the frontal downforce, the Tyrell P34 had four wheels on the front axles and two on the rear. This increased the contact patch on the front axles, hence giving a tighter grip compared to any other team back in the day. The design was such a success that FIA re-amended the rule that “FOUR is the maximum number of wheels allowed”. Talk about hypocrisy! 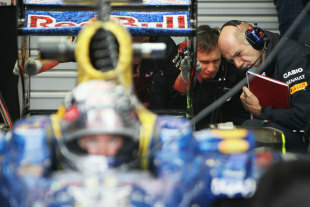 The most recent incidence we can all relate to was in the 2011 F1 season with Adrian Newey. For some reason, we at Autospace cant stop loving him. His exhaust blown diffuser (EBD) concept single handedly propelled RED BULL racing team to partial championship victory half way through the season itself. The FIA once again played as wet blanket and ruled out EBDs the following season, only to stimulate an “overall competitive environment” and to increase TV viewership. So why is the Deltawing a victim, then? The same reason why the previous cars mentioned here were given the axe. Rear wheel steering, almost negligible frontal area, using only half the engine power, enduring only half the drag, doubling the fuel economy (so as to have fewer runs into the pit lane) and still being able to clock in the same lap times as that of Toyota TS030 hybrid or the Audi R18 hybrid and other already established Le Mans cars is TOO GOOD TO BE TRUE. So another one bites the dust. The world failed to recognize the limitless opportunities that could have progressed through the pioneering work of Ben Bowlby and his creation and once again we are on the losing side. One cannot summarize “The good, the bad and the ugly” of the Deltawing project solely because the Deltawing’s fight was indeed an ugly one. But this sad story may have a happy ending. Good innovations die hard and something tells me Mr. Bowlby isn’t done with the world just yet!